In popular music, there are a handful of different career arcs that artists tend to follow, stories that seem to repeat themselves time after time, and Todd Rundgren fits into precisely none of them, instead carving out a unique path that’s led him through a little bit of everything. He’s equally noteworthy as both a producer, with classics albums from Grand Funk Railroad, New York Dolls and XTC among his many credits, and a performer, dabbling in diverse genres from power pop to prog, and while he never quite achieved the same level of lasting mega-fame as some of his contemporaries, he’s remained remarkably prolific, releasing his 25th studio album, Global, just this month, and still enjoys a rabidly loyal following, who eagerly packed into the Pabst Theatre tonight to experience it live. Considering the Runt’s mercurial reputation, it was difficult to know what to predict walking in, and the first surprise came when Dâm-Funk, the Stones Throw Records electro-boogie maestro that was publicized as the tour’s incongruous warm-up act, provided less of an opening set and more of an opening song, a version of his throwback slow jam “I Wanna Thank You for (Steppin into My Life)” awkwardly reworked to introduce Rundgren, who emerged with two dancers in tow and launched into “Evrybody”, Global’s lead-off track. The song, a dissection of modern life complete with Miley Cyrus name-check, is one of the record’s more conventional rockers and afterwards he seldom picked up a guitar again, leaving it to one-man band Dâm-Funk to provide the electronic textures that make up most of the rest of the album. 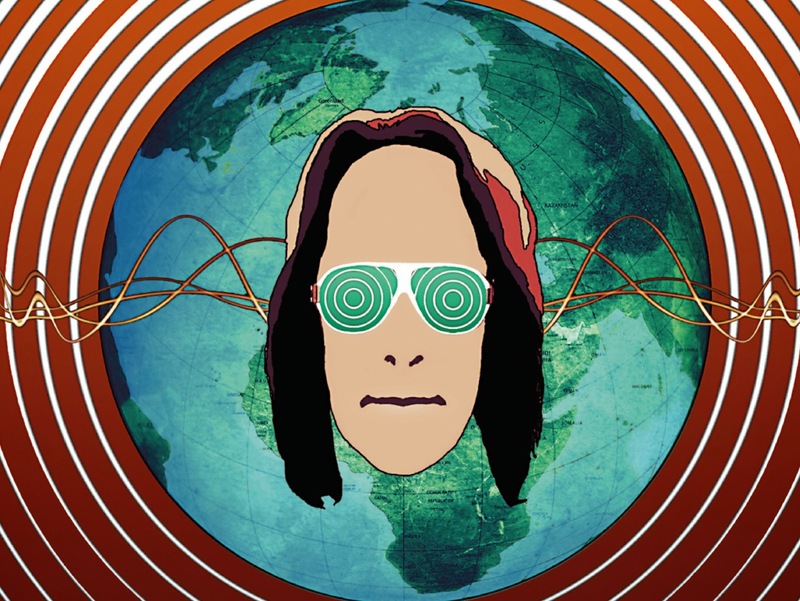 Rundgren’s current taste for EDM produces some truly strange results, an uneasy mix of new wave hooks, big beats and the boundless, quasi-spiritual positivity of rave that can either tip in favor of well-crafted pop, like the funky “Skyscraper”, or cringe-worthy message songs, as with the ponderous “Holyland”. There was also, of course, a handful of oldies for the die-hards (mostly middle-aged ladies, mostly dancing in the aisles), including the stylistically appropriate Utopia cut “Secret Society” as well as a medley of his 70s solo classics, like “Can We Still Be Friends” and “Hello It’s Me”, all updated with Global’s retro-futurist sheen. If altogether uneven, there were certainly moments of inspiration throughout the exhaustive two-hour show, and if it’s a curious direction for his career to take, well, what else would you expect?